It all began by having a meeting at the Wallace Elementary School with the art teacher and approval for the school to participate by the Principal and Superintendent. 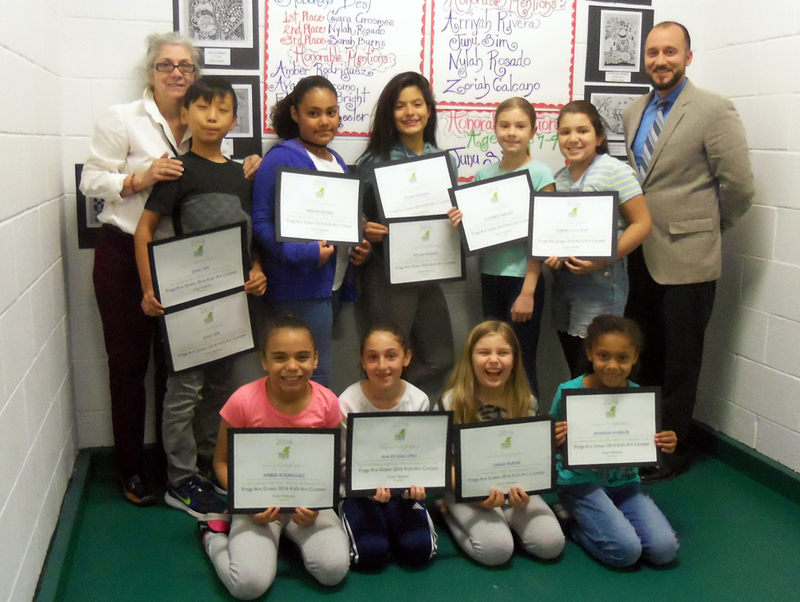 Ms. Lynn Fusco, art teacher extraordinaire, taught the students about frogs and children ages 6-12 created black and white frog drawings. I teach part-time at the school, so every week when I came back to the school, Ms. Fusco would hand me more artworks, until all 400 had been turned in. I photographed the art and added them to our international galleries on the Flickr website Frog Art. (Just one of our many galleries)! Finally, it was time for the judges to make their selections from the field of 1441 artworks from 35 countries. Many selected the Hoboken childrens’ artwork and they appear here and there in the many categories we have on our website. Ms. Fusco created posters by hand and put them up in a few places around the school to feature the winners. But, I knew that I had to do more! When a school as a whole surpasses your expectations and the Wallace School delivered 400 strong, you must reward them! 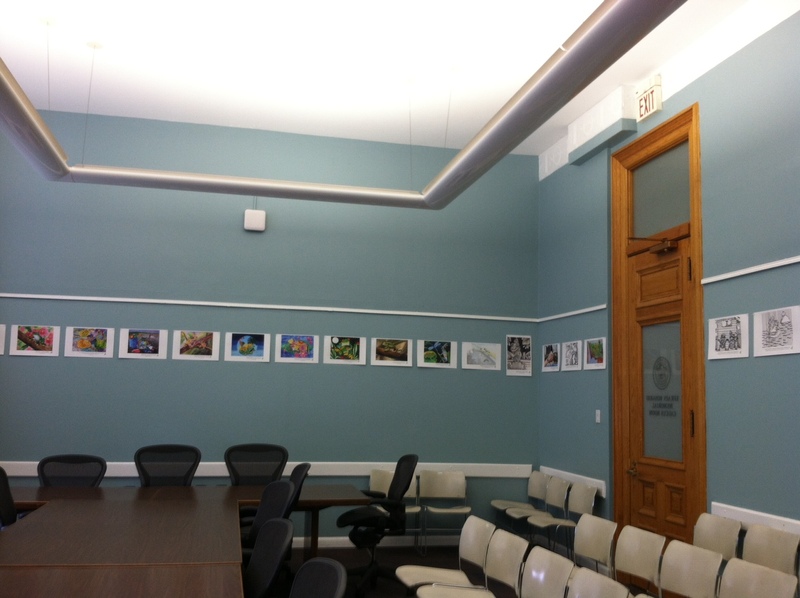 First, I selected 24 artworks and they were on display in Hoboken’s City Hall during Earth Day and also in Jersey City City Hall’s caucus room. 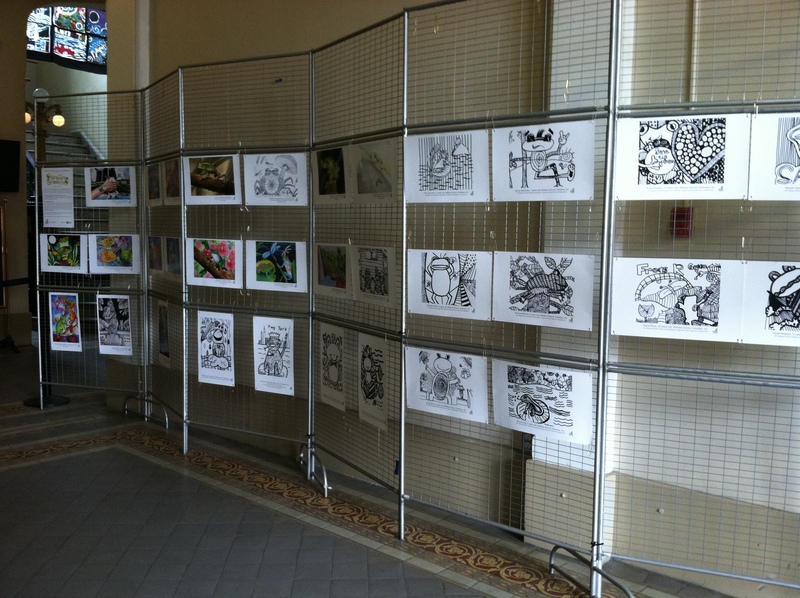 I will add that the artworks are up indefinitely in JC, unless another group needs the space. 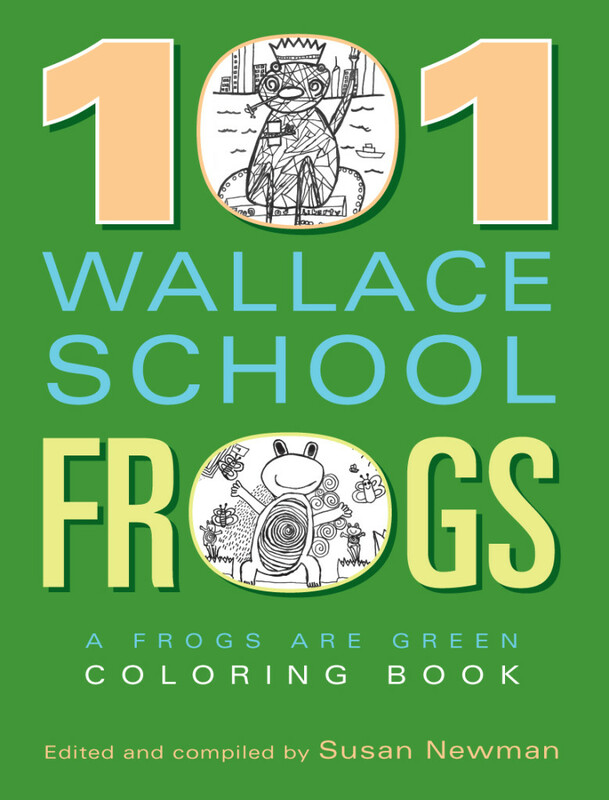 Then, I carefully reviewed and selected 101 to publish in “101 Wallace School Frogs” A Frogs Are Green Coloring Book. I scanned the art, designed the book and published it in May, 2017. In addition, we have collaborated with the Wallace PTO and if you buy the book on Amazon Smile and select the Wallace Parent Teacher Organization as your charity, they get a percentage. And… we’re not done yet! Next week, we’re having a book publishing party with the 101 students who are in the book! What a great effort! I can’t wait to see what happens in September when we open the 8th annual kids art contest! 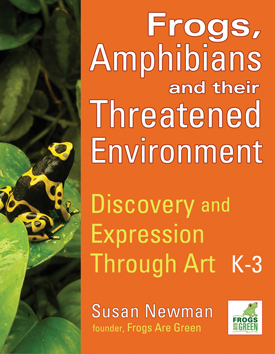 This entry was posted in A-Z Frogs, Amphibian Education Programs, Amphibians and Reptiles, biodiversity, Children and Nature, Children's Books on Frogs, Climate change and frogs, Climate change and the Environment, Contests, Environmental Art, Environmental Books, Frog fun, frog gifts, Frog People, Frogs and Artists, Frogs Are Green contests, Frogs Are Green kids' art contest, Frogs in the Classroom, Kids Art Contest, Learn about Frogs, People Helping Frogs and Toads, Read about Frogs, Urban Frogs and tagged 101 wallace school frogs, art contest winners, children's art in City Hall, frog coloring book, frogs are green kids art winners, Hoboken City Hall, Jersey City City Hall, Lynn Fusco, Wallace Elementary School of Hoboken, Wallace PTO. Bookmark the permalink.